Mike Heneka, who led an immense expansion effort in the U.S. as president of Faurecia North America Inc., will retire on March 1, the seating and emissions systems supplier said today. Mark Stidham, president of Faurecia North America’s emissions control technologies division, will replace Heneka in leading the North American subsidiary of Nanterre, France-based Faurecia SA. Heneka, 67, will remain with Faurecia as an advisor to Stidham, 58, through June. Heneka initiated his retirement from Faurecia, but does plan to find employment elsewhere after June, he said in an e-mail to Crain’s Detroit Business, an affiliate of Automotive News. Heneka joined Faurecia in 2006 as president of its North America interior systems division, before becoming president of the region in 2007. Under his leadership, Faurecia expanded in North America to more than 20,000 employees from 9,000 employees and to 47 sites from 23. Revenue also spiked under Heneka from more than $2 billion in 2007 to $6.25 billion in 2014 to become the sixth largest auto supplier in North America. Sales are forecast to reach $7 billion in 2017. 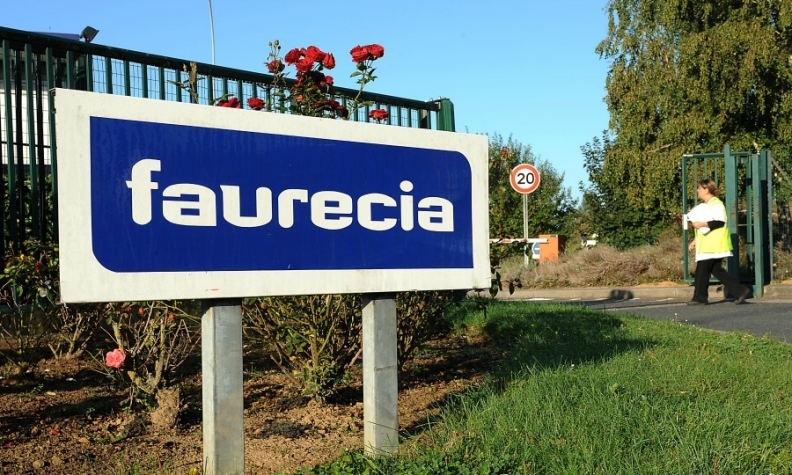 In July 2014, Faurecia opened a $30 million 278,000-square-foot headquarters for 700 employees north of Detroit in Auburn Hills, Mich.
Heneka also served on the boards of directors for the Original Equipment Suppliers Association, the National Association of Manufacturers and the Automotive Hall of Fame. “During his time with us, Mike has led the region through many changes and has positively impacted Faurecia’s reputation in North America and internationally,” Faurecia SA CEO Yann Delabriere, said in a statement. Stidham joined Faurecia in 2003 as president of its North American exhaust systems business, which was later named emissions control technologies. That division generated revenue of about $2.2 billion in 2014. Prior, he served as a group vice president at the former Donnelly Corp., which was acquired by Magna International for $415 million in 2002.